Mansfield Self Storage in Mansfield, CT, gives you a range of over 10 self storage unit sizes to choose so you only pay for the space you need. And we are just 5 minutes from the University of Connecticut. We offer units ranging from the size of a locker to the size of a long one-car garage. A 5' X 5' X 4' storage locker is perfect for personal items like seasonal decor, extra sports gear, or a dozen or more legal boxes for important papers. Choose a 10' X 10' unit for the space equivalent of a bedroom, giving you room to store the furniture from a one bedroom apartment. Our 10' X 20' is our most popular unit for people moving and perfect for winter car storage. Our 10' X 30" unit is our largest, offering about the square footage of a one-car garage, or a 40-foot moving truck — allowing you to store items from a three to five bedroom home, or a vehicle and a motorcycle. Need help deciding on the right unit? Use our space calculator online, or talk with our friendly, expert team. 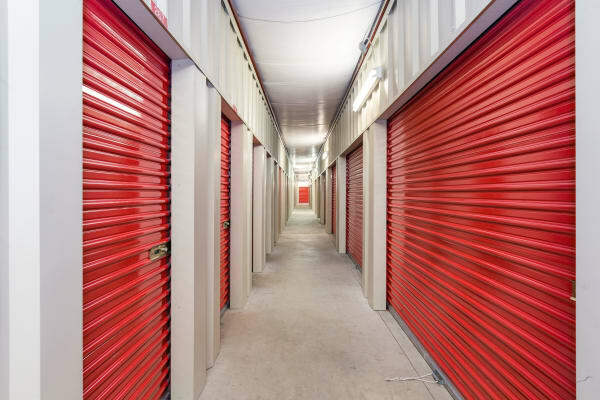 Located on Route 32, our Mansfield, CT, self storage facility next to Yankee Oil, near Coventry Road offers you easy access to swing in and out of your storage unit on your time. Take advantage of 7-day-a-week access to pick up or drop off your belongings when it’s most convenient for you. Trust your belongings with us while you’re away, knowing our facility is fully fenced and under digital surveillance. Choose Mansfield Self Storage, Fast, Easy, Guaranteed. Call us today to rent your unit.